The price of oil has fallen dramatically this week, on the heels of growing concern over global oversupply. Some are saying, then, that there could be no better time than now to get into the oil business and buy shares of the commodity. According to at least one strategist, both West Texas International (WTI) and Brent Crude have fallen roughly 4 percent [this week, so far], creating a bear market with prices down more than 20 percent on the year so far. As a matter of fact, Brent fell below $45 for the first time this year before starting its recovery, Thursday. On the other side, then, current oil prices might pose just the right moment for investors to pick up some cheap futures in the commodity. For example, Credit Suisse global head of investment strategy & research Nannette Hechler-Fayd’herbe comments that her firm will, more than likely, pick up a few shares at prices this low. It is necessary, too, to examine how crude inventories now total more than 509 million barrels. That is in the upper half of the average range for this season of the year. Looking towards the future, then, we could see more demand for oil as countries like Brazil and India their economic conditions. And, on the other side, the new OPEC production cut deal will last until April 2018. 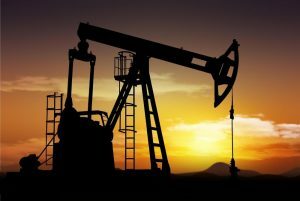 As such, UBS analysts William A. Featherston, Joseph Head, and Jonathan Rigby, suggest that OPEC might look at tapering some production cuts or potentially extend the deal in another way in order to avoid flooding the market during the second quarter of next year.